A general accuses Israel of preventing clouds from bringing moisture to Iran. For him, “The changing climate in Iran is suspect.” Meanwhile, demonstrations against pollution and poor management of water resources continue in Khuzestan province. 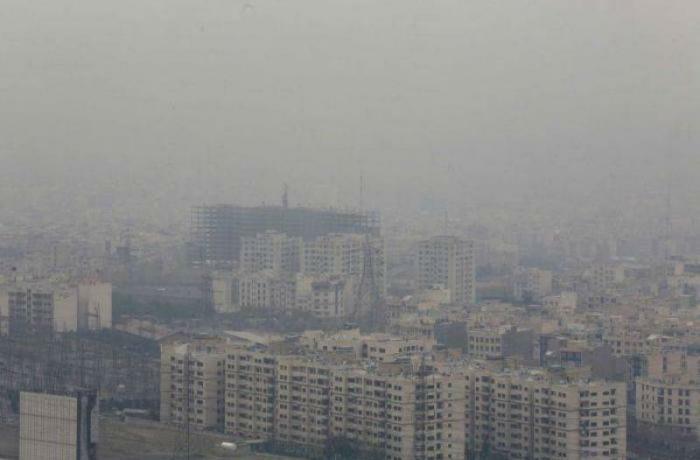 Teheran (AsiaNews/Agencies) – An Iranian general has accused Israel of preventing clouds from bringing rain to Iran. "The changing climate in Iran is suspect," said Brigadier General Gholam Reza Jalali, head of Iran’s Civil Defense Organisation. "Foreign interference is suspected to have played a role in climate change," Jalali was quoted as saying, insisting results from an Iranian scientific study "confirm" the claim. "Israel and another country in the region have joint teams which work to ensure clouds entering Iranian skies are unable to release rain," he said. Jalali cited a survey showing that above 2,200 metres all mountainous areas between Afghanistan and the Mediterranean are covered in snow, except Iran. Not everyone in Iran shares this view. General Jalali "probably has documents of which I am not aware, but on the basis of meteorological knowledge, it is not possible for a country to steal snow or clouds," said the head of Iran's meteorological service Ahad Vazife. "Iran has suffered a prolonged drought, and this is a global trend that does not apply only to Iran," Vazife explained. "Raising such questions not only does not solve any of our problems, but will deter us from finding the right solutions," he added, in apparent reference to Jalali's claims. Meanwhile, in the southwestern Iran, people have taken to the streets of Khorramshahr and Abadan, in Khuzestan Province, to protest the bad quality of the water. These are "a reaction to years of poor management", aid Alex Vatanka, a researcher at the Middle East Institute specialised in Iran. Drought, a lack of drinking water and high levels of pollution have made things worse in the predominantly agricultural and Arab-speaking province. "The region is disadvantaged from a socio-economic level compared to those inhabited by Farsi-speaking Iranians," says Ali Fathollah-Nejad, an associate researcher at the Brookings Doha Center. The country has been in turmoil for years. “There have been sporadic protests,” Vatanka notes, “but they are not all linked. People protest against corruption and the regime’s agenda." The Guardians of the Revolution, which runs the power and water supply in western Iran, pledged to act quickly to calm the situation.